This post is sponsored by Woodbridge By Robert Mondavi Wines. Please, always make sure to enjoy wine responsibly. It’s winter here in Quebec City. My hometown’s been snowed over a full month earlier than usual. The first snowfall was a full-on, heart-of-the-winter one, and it was followed by many more, which means right now, my city looks like it usually does in January. 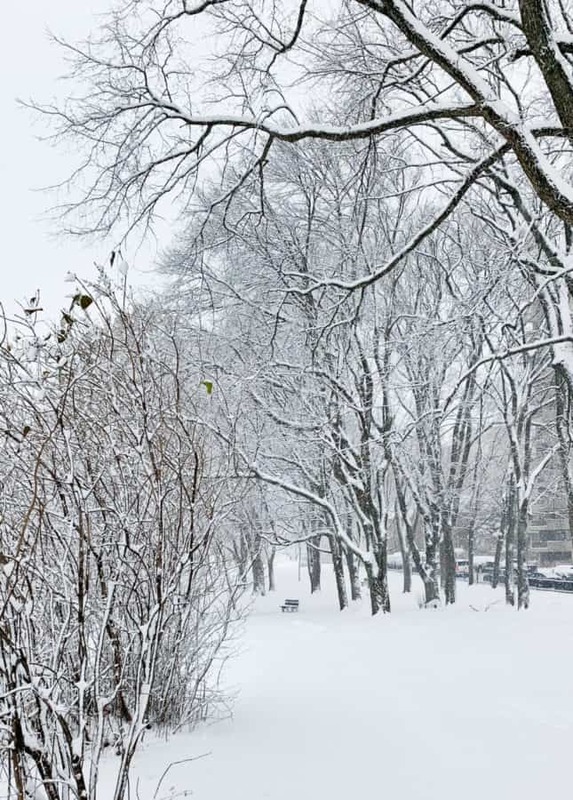 I’m always excited for the first snow, because it usually means December’s here, and the holidays are right around the corner. It means decking the house with lights and shimmering decorations and baking to the rhythm of holiday music. It means playing in the snow with the little one, then coming in and curling up under a blanket to warm up. It means craving and making delicious, comforting dishes you can eat with a spoon. This year, the early arrival of snow tricked us, and it is still way too early to put up the tree and start holiday baking. So, lately, I went all in with the comfort food. You say comfort food, I immediately think of risotto. Risotto is my fallback plan, the thing I make when the fridge is bare and we crave something simple but satisfying and delicious. For a lot of people, risotto is a tricky dish to make, and yet I’ve always felt that reputation was overblown. 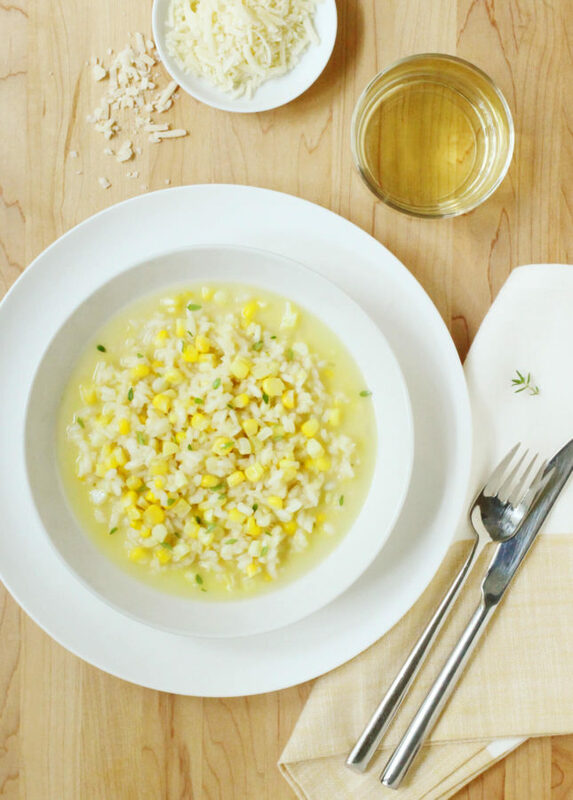 Put on some music, gather the ingredients, heat up some broth, and start cooking the risotto. 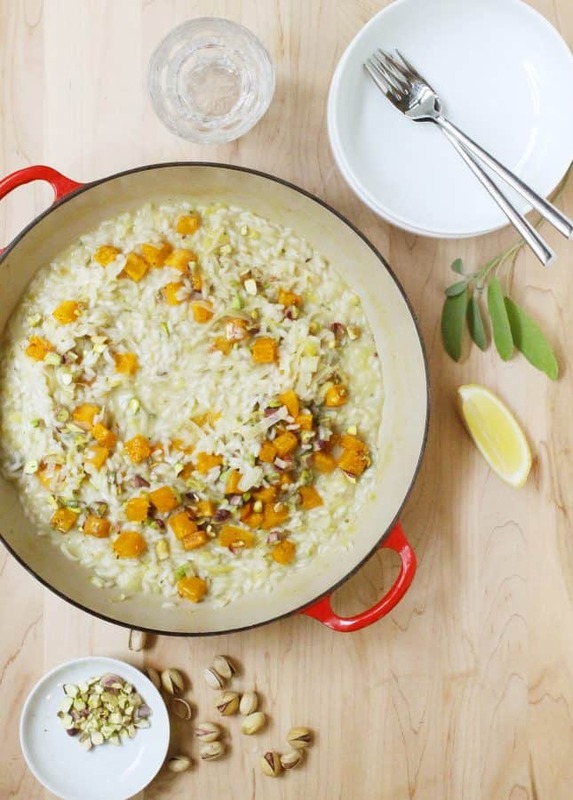 By the time you’re done lazily drinking a glass of wine—because you have to open a bottle to make that risotto, right?—your risotto will be done and served. Making risotto takes about 25 minutes, start to finish. 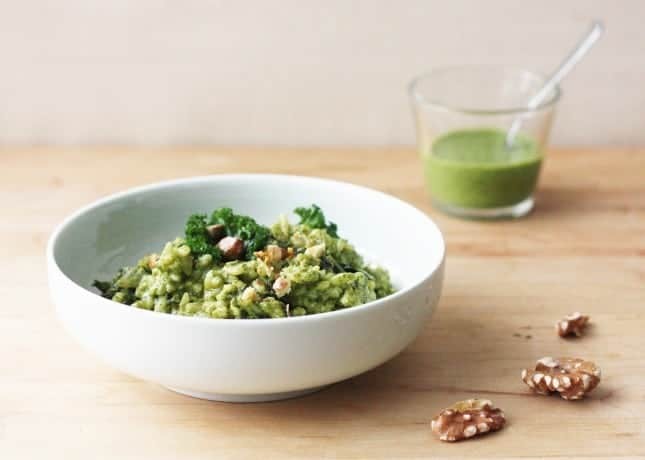 The time-to-deliciousness ratio offered by risotto is hard to beat! What I also love about risotto is that it’s a blank template you can adapt countless ways. Only got cheese on hand? Make a basic risotto, and I guarantee you’ll be happier eating that than mac’n’cheese. Add lemon zest for a sophisticated touch and flavor boost. Add protein and veggies to make a dressed-up version of the dish. The sky’s the limit! In its most basic form, risotto can be made with just four ingredients: rice, wine, broth, and cheese. Most risotto recipes use white wine, but I love to make red wine risotto for a change of pace. 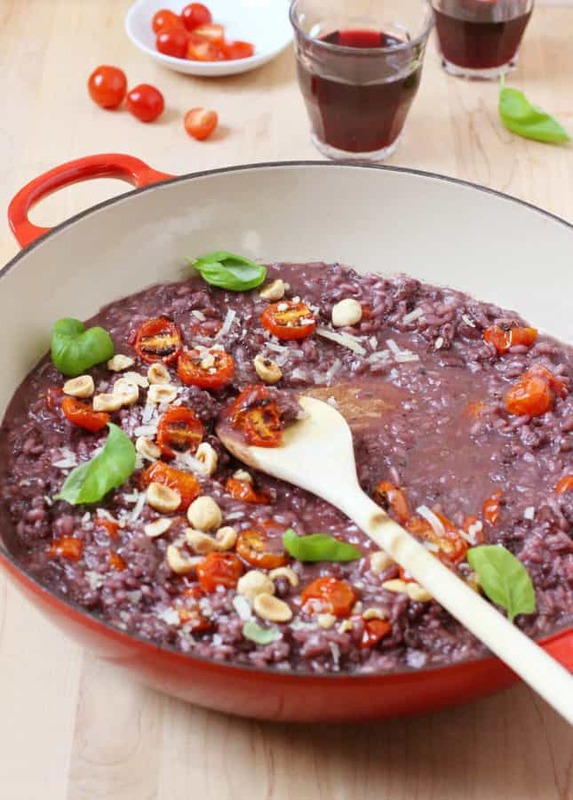 The color of red wine risotto is breathtaking, and the flavor is deeper and more assertive. 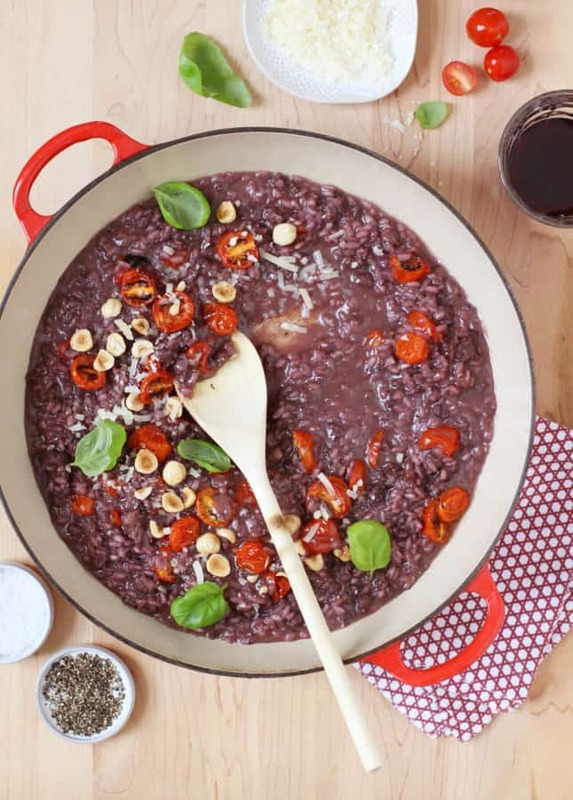 Red wine risotto is a great winter dish and a spectacular one to serve to company during the holidays. 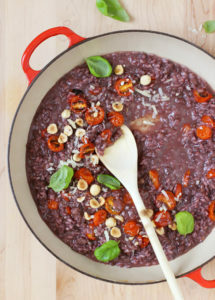 I’ve been making versions of this red wine risotto for a long time but had never gotten around to sharing it on my blog. When I was approached by Woodbridge by Robert Mondavi Wines to create a wine-based recipe, it was the perfect occasion to finally get this favorite recipe of mine into the world. I’ve been buying Woodbridge by Robert Mondavi Wines for years: their wines are fruit-forward, smooth, and balanced, making them versatile and loved by everyone I serve them to. Woodbridge by Robert Mondavi Wines also have another big advantage: they’re delicious and affordable, which means I’m also happy to use them for cooking and baking, too. 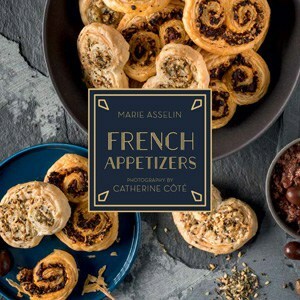 Wine you use in recipes should taste good: Fiona Beckett, wine writer for the Guardian, says, “If you wouldn’t happily drink it, don’t cook with it.” By the same token, you don’t want to pour vintages elsewhere than into your glass, so it’s important to keep reliable, affordable staples on hand to pour a cup into a recipe, if need be. I was lucky enough to pick from three different Woodbridge by Robert Mondavi Wines to make this red wine risotto, and after careful, repeated tastings (tee-hee) I went for their Merlot. The wine you use to make red wine risotto should be flavorful, but not overpowering. 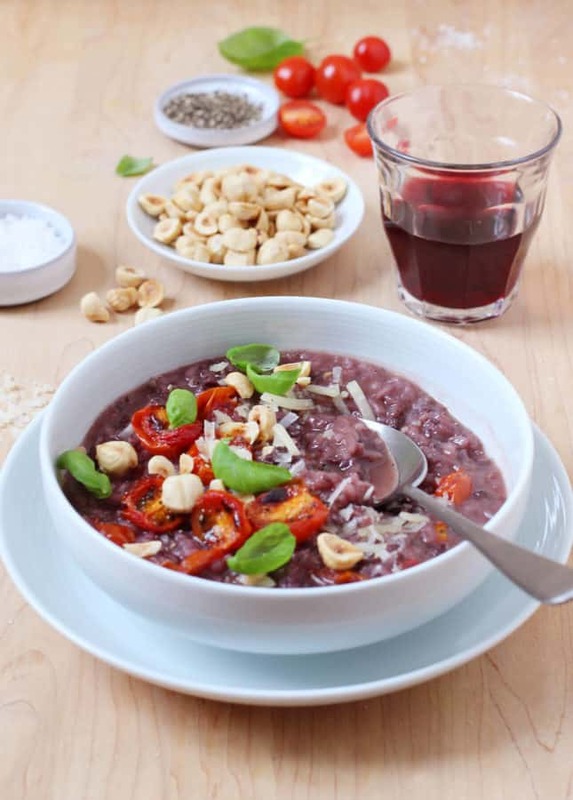 Medium-bodied wines are best for risotto, and the juicy Merlot I picked had a nice acidity that paired with the broiled cherry tomatoes, a mellow spiciness that could support the meaty flavor of sausage, and some vanilla undertones that inspired the toasted hazelnut garnish. 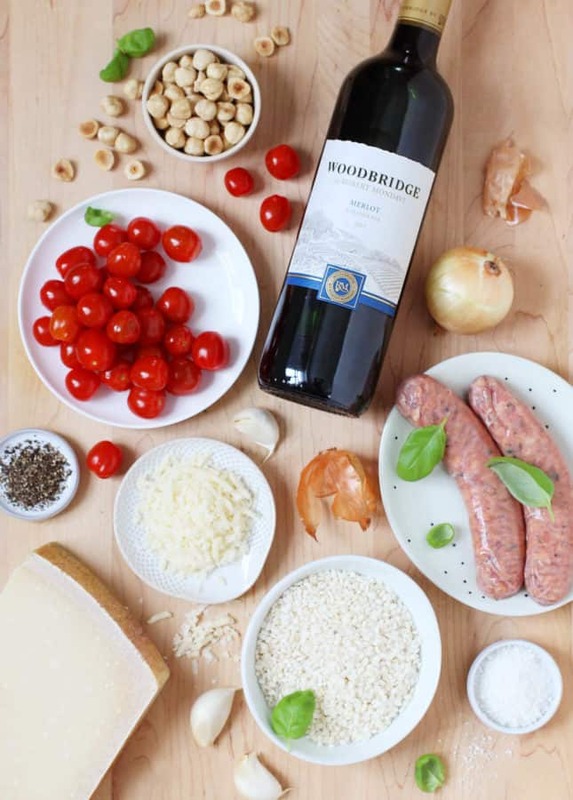 This colorful Broiled Cherry Tomato, Sausage, and Red Wine Risotto is just one of the delicious recipes you can make with Woodbridge by Robert Mondavi Wines. 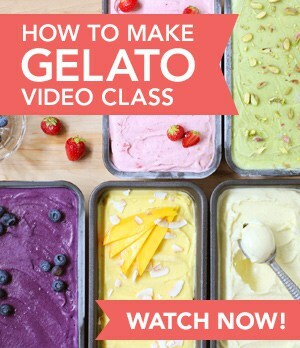 For more recipes and serving tips, visit Woodbridgewines.com, and follow them on Facebook, Twitter, and Instagram for day-to-day inspiration. 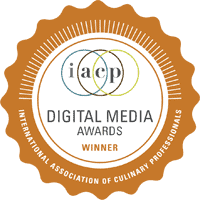 They also have a wine pairing app that provides recommendations for what wine to serve with your food. Handy! Use a medium-bodied wine with flavor notes that complement the ingredients you use in the risotto. Look at the back label of the wine for clues: many winemakers include pairing suggestions to flavor descriptions. 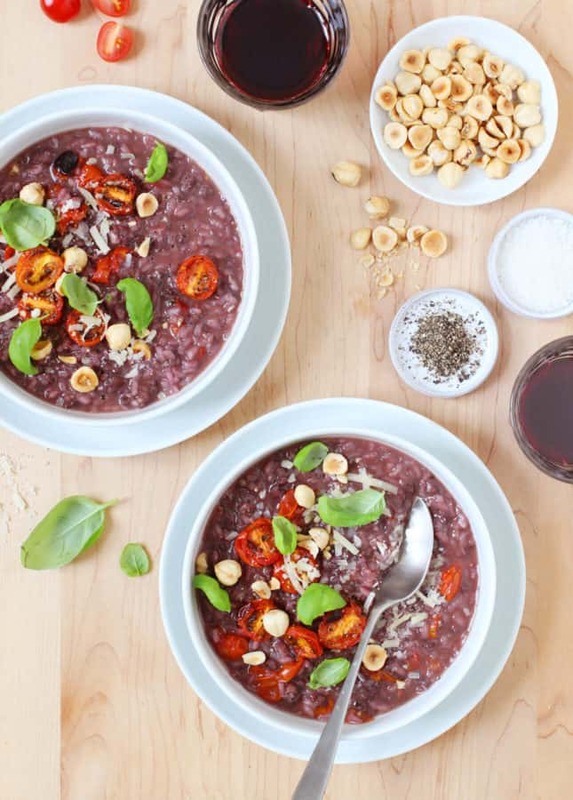 To pick a wine for this risotto, look for the keywords “tomato,” “meat,” or “hearty pasta.” Or simply use the same wine I picked: the 2017 Merlot by Woodbridge by Robert Mondavi Wines. Use short-grain rice for the creamiest taste and the best texture. “Risotto rice” has a high-starch content, which is what creates the risotto’s signature creaminess, but it also retains texture and won’t turn mushy. Arborio is the risotto rice variety you’re most likely to find in all grocery stores, but also look for Carnaroli and Vialone Nano, two varieties that produce outstanding risotto. Perfect risotto is loose in texture: it should quickly flatten out when you spoon it into a serving bowl. From the moment it’s done, risotto will slowly start seizing and losing its smooth creaminess, which is you should always make it right before serving. My tip to serve perfect risotto is to save a ladleful of the hot broth, which I mix into the finished risotto only seconds before serving. This gives you a few minutes to breathe: once you’ve stirred in the cheese, you can remove the risotto from the heat, cover it, and let it rest for 5 to 10 minutes. Gather your serving plates and garnishes and make sure your guests are ready to eat. Return the risotto to medium-low heat and stir in that last ladleful of hot broth. This will loosen the risotto and make it perfect for immediate enjoyment! For the broiled cherry tomatoes: Place a rack in the upper third of the oven, then preheat the broiler. Line a baking sheet with aluminum foil. 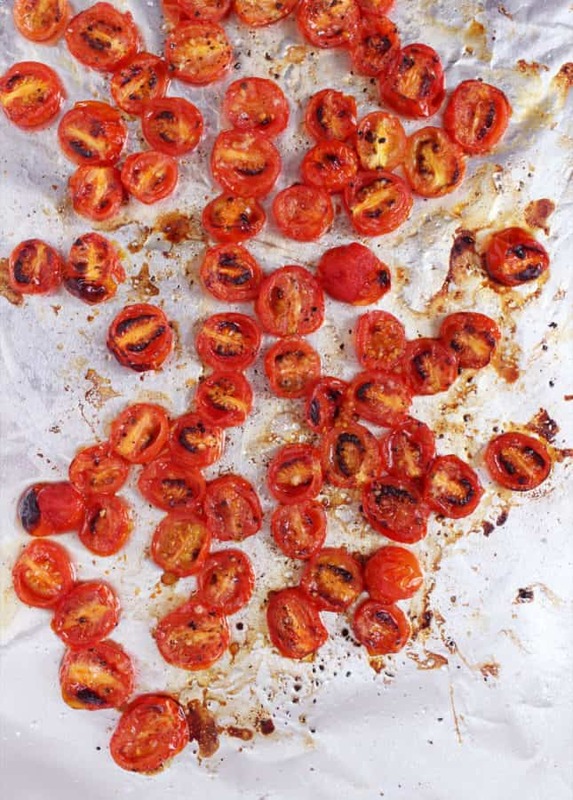 Halve the cherry tomatoes and transfer to the prepared baking sheet. Drizzle with the olive oil and balsamic vinegar. Toss to coat, then arrange the cherry tomatoes cut side up. Season with salt and pepper, then transfer to the oven. Broil for about 8 minutes, or until the cherry tomatoes begin to dry and char around the edges. Remove from the oven and set aside while you prepare the risotto. For the red wine risotto: Pour the chicken broth in a medium saucepan. Warm over low heat until just simmering, then keep warm. 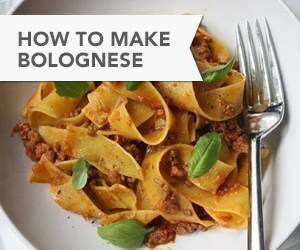 In a large pan, or in a cast-iron braiser set over medium-low heat, melt the butter in the olive oil. Add the onion and sauté until soft, about 4 minutes. Add the garlic and sauté for 1 minute. Add the sausage meat and sauté, breaking up the meat with a wooden spoon, until the meat is fully cooked, about 4 minutes. Add the risotto rice and stir for 2 minutes, until the grains are translucent around the edges. Add half of the red wine and stir, scraping down the bottom of the pan to loosen the caramelized bits. Simmer until the wine is absorbed. Add 1 ladleful of the hot chicken broth and simmer, stirring from time to time, until the broth is almost completely absorbed. Add the remaining red wine and simmer, stirring from time to time, until the wine is almost completely absorbed. Continue adding broth, one ladleful at a time, allowing each ladle to be absorbed before adding more. When there's about 1 ladleful of broth left, taste the risotto. Risotto is perfectly cooked when it is tender with a little bite. Add more broth if the risotto needs it, making sure to save about 1/2 cup (125 ml) of broth to finish the risotto right before serving (warm up more broth if needed). When the risotto is al dente, lower the heat to the minimum, then add the remaining 1 tbsp (15 ml) butter and the grated Parmigiano-Reggiano cheese. Stir until the butter and the cheese are melted. Stir in half of the broiled cherry tomatoes and the remaining broth (about 1/2 cup/125 ml). The risotto should be loose and super creamy. SERVING: Divide between warm shallow bowls. Garnish with the remaining broiled cherry tomatoes, toasted hazelnuts, and fresh basil leaves. Sprinkle each serving with a tiny pinch of flaky sea salt and some freshly ground black pepper. Serve immediately. How to toast and peel hazelnuts: Place the hazelnuts on a baking sheet covered with parchment paper, and bake at 350°F (170°C) for 15 minutes, giving the tray a good shake every five minutes. When the hazelnuts’ skin is shiny and crackled, remove from the oven and transfer to a clean dish towel. Close the towel up into a bundle and rub the hazelnuts against one another vigorously to remove the skin. Open the towel and pick up the peeled hazelnuts. Some bits of skin will remain and that’s ok, simply make sure to discard all the loose papery bits. Keep the peeled hazelnuts in an airtight container in the fridge until ready to use. This post is sponsored by Woodbridge By Robert Mondavi Wines. 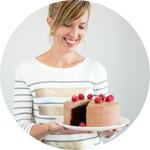 Companies never dictate what recipes I create, or the opinions I express. I only use products I genuinely believe in. For more information about sponsored posts, please read my Disclosure Policy. 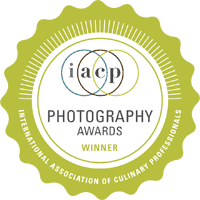 Thank you for supporting the sponsors that keep Food Nouveau running! And please, always make sure to enjoy wine responsibly.